All patches are identified using the Franck et al "Aid to Collecting Council Shoulder Patches". Unless noted, variety letter identifications use c.2002 varietal distinctions, which provide more detail than the later versions. 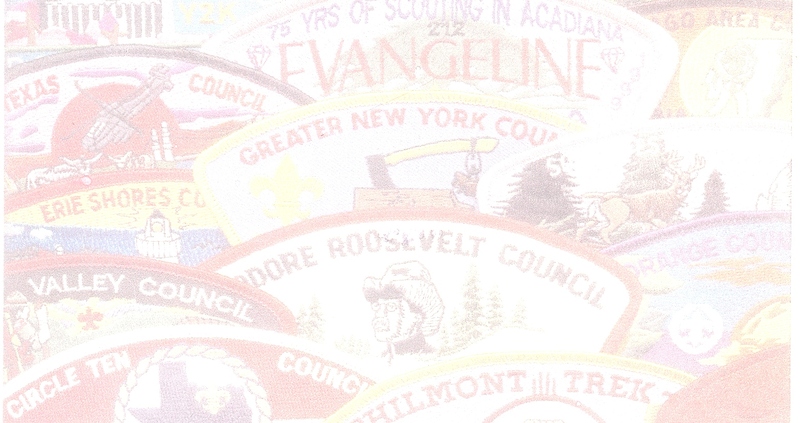 Patches issued since 2002 follow the 2008 guide ID. My collection focuses on pre-1980 issues (when I was a Scout), secondarily on pre-2000 issues (when I was a more active trader). Issues I need from those times are explicitly noted in the council listing. I am, however, happy to trade for anything, so if you have any patch for trade not pictured, drop me a line and let's see if we can work something out.